These hills are filled with unobtanium! Most games described as being a “sandbox” really aren’t. They’re simply open-world games that give the player the impression their actions have a real impact on the gameplay environment or the storyline. Many such games are actually heavily scripted, featuring a limited number of ways to progress the plot, and an even further-limited number of outcomes or “endings”. 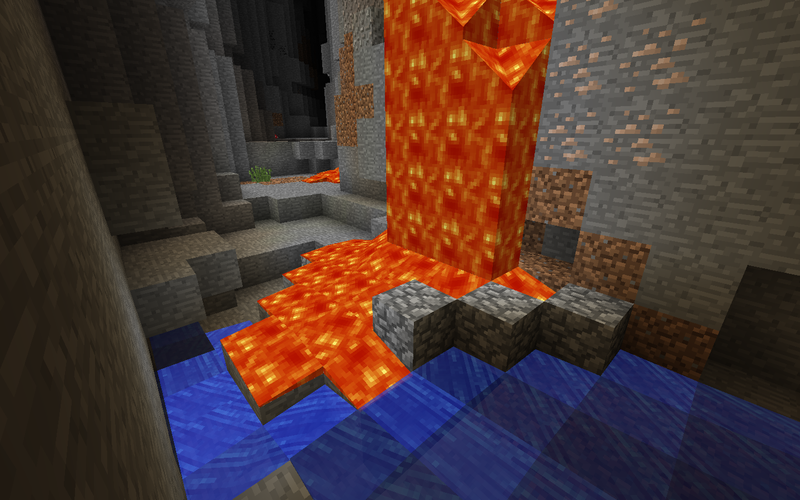 A true sandbox game has no such script: The player interacts with the environment and whatever emerges as a result is considered to be the “game”. There’s usually no beginning, and no specific end either. As such, the player’s creativity a key component to the success of such a game. This is where Minecraft is strong: a simple set of game mechanics, most of them easy to master, give the player infinite creative freedom. It’s truly a sandbox, in that the boundaries are limited only by your imagination. The best games ever created completely lacked realism. In fact, some of them intentionally avoided it. Third person 3D games like The Legend of Zelda: Ocarina of Time, Super Mario Galaxy, and Grand Theft Auto; side scrolling games like Super Mario Brothers, Sonic the Hedgehog, and Metroid; and even first-person shooters like Halo, Portal, and BioShock all brought the player into a fantastic world that only loosely resembled the universe we’re all familiar with. Minecraft is no different in this respect, transforming familiar every-day objects into a cubist landscape that somehow still seems real, even though it very obviously isn’t. 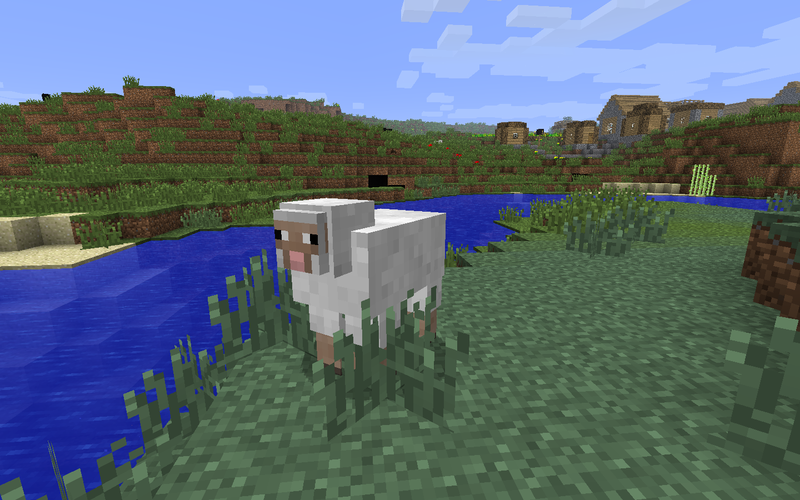 Realism is totally overrated, and Minecraft’s approach to the subject is a brilliant example of how a game can feel real, even when you can see that it isn’t. Just the genre description is enough to make your average nerd start drooling. Seriously, who wouldn’t want to play a game with that description? This game has a little of everything: magic potions, enchanted weapons, monsters, animals, agriculture, weather, day/night cycles, alternate dimensions, randomized terrain, and fishing to name a few. Not to mention fire, explosions, sword fights, archery, wolves, demons, bats, witches, and zombies. Yes, that’s right: explosions and zombies. George A. Romero, eat your heart out. Reason number three that Minecraft is the best PC game ever is that it includes elements of all of the best games ever, all rolled into one. Many recent games take players to new heights. These games often have mind-altering game mechanics like distorted gravity, 3D flight, or teleportation. These are sometimes implemented in a gimmicky, or intrusive way that can subtract from gameplay, rather than adding to it. In some instances, the entire game is based on one of these mechanics, and that too can be frustrating. Minecraft, on the other hand, has only one striking game mechanic, and it isn’t some acrobatic flight system or a teleportation gun. It’s digging! Nice and easy. We all have the instinct to burrow down inside our psyche somewhere. This game exploits that perfectly. And the best part is that the entirety of the terrain is “diggable”. You can excavate an open pit mine, or make a single 1 meter by 1 meter hole all the way to the bottom of the game. And that’s harder than it sounds. This isn’t the last time I’ll have great things to say about Minecraft. 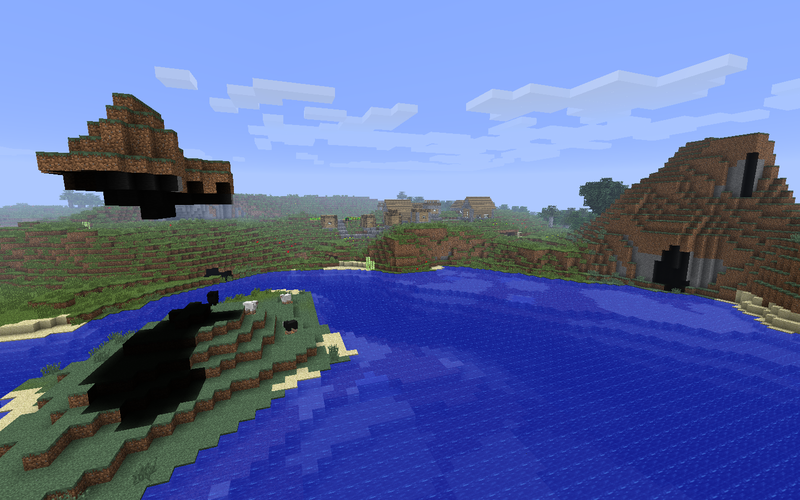 The latest version, Minecraft 1.4.4, has yet more features, fixes, and fun. The company has scarcely taken a break from from updating this product. It’s more finely-tuned and packed with features than ever. Will they ever stop? I doubt it. This simple game has captivated millions of people and will likely reach millions more this holiday season. So there will be more to say about it. Much more. This entry was posted in Art, Fun, Technology and tagged games, Minecraft, videogames. Bookmark the permalink.